One of the best things about summer is enjoying a nice, juicy watermelon. But it sure does spoil the fun if you don’t pick out a good watermelon! 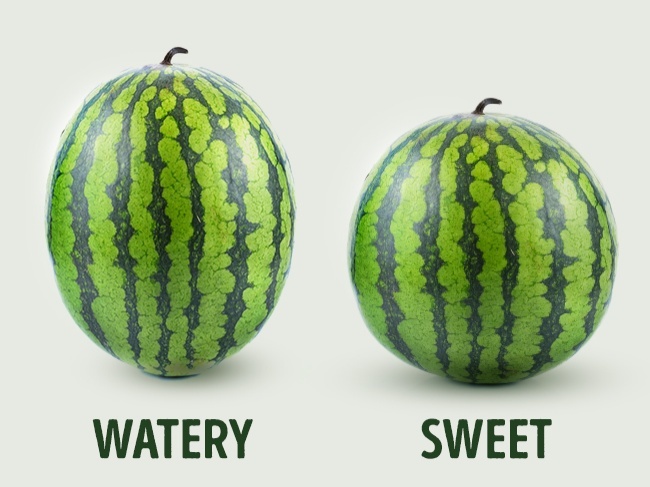 To help you decide which melon is the best, keep reading, we have five simple tips! 1. 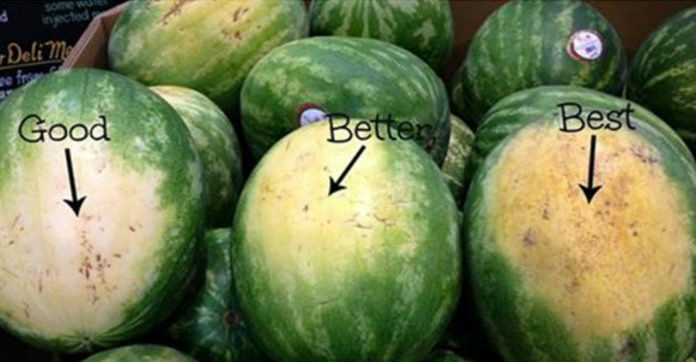 All watermelons have those large white spots, called field spots – and it is completely natural. As the name implies, that spot is where the watermelon sat on the ground. 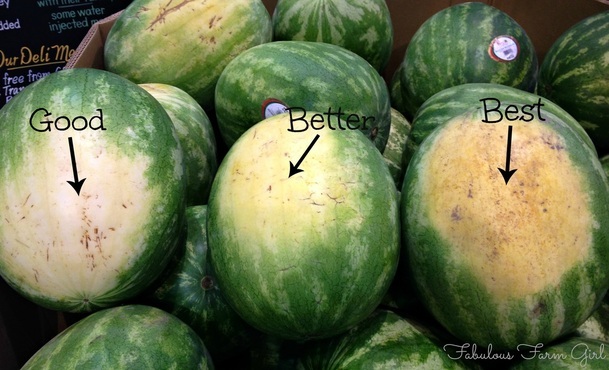 The best melons will have an orange-yellow or creamy yellow spot! So, don’t pick the one that you think looks the cleanest! 2. 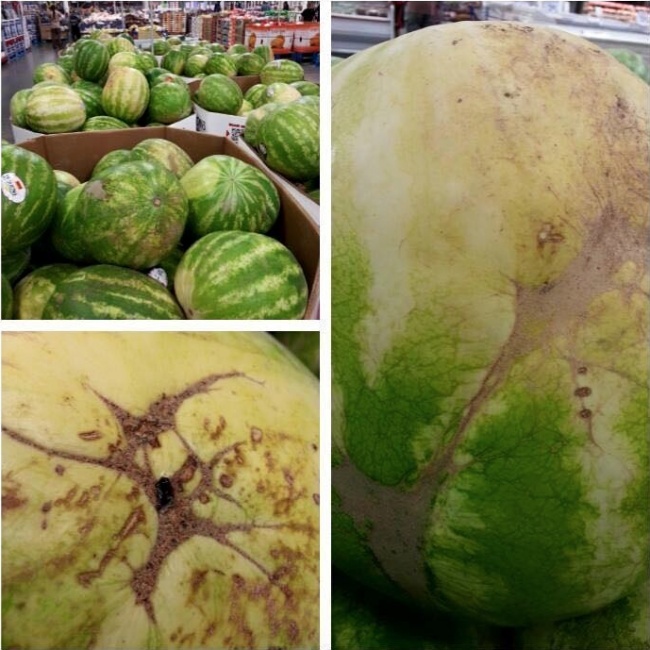 Ever see all those brown webs that criss cross watermelons? Those are a good thing! The webs mean that a bee once pollinated the flower – the more webs, the more times the bees visited! The melons with the most webs will be the sweetest! 3. Yes, even watermelons have genders! A ‘boy’ watermelon is taller and tends to be waterier. A ‘girl’ watermelon is round and short, but they are sweeter! I don’t think that comes as a surprise to most – of course, girls are sweeter!